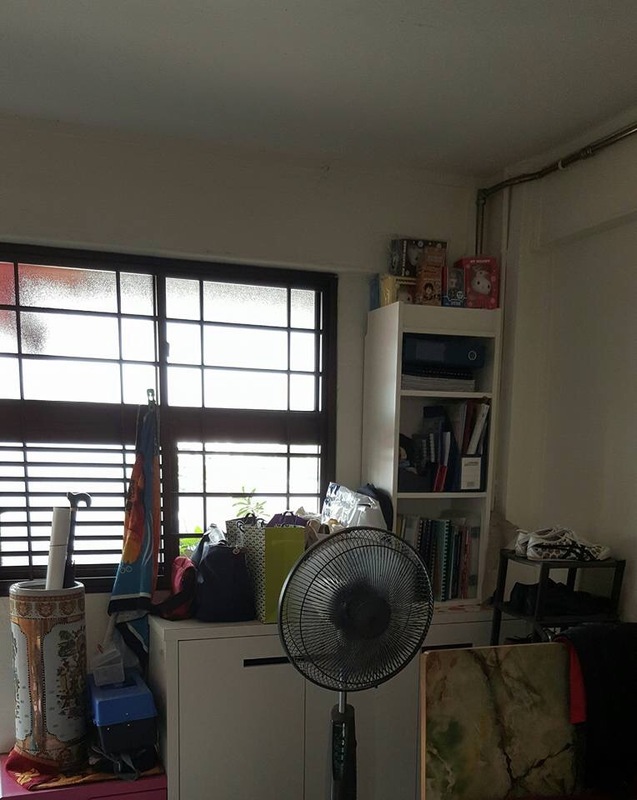 My dear ex colleague approached me and requested for a clean up of her home. The target was to clean up her bedroom and the living room area. Prior to the appointment, pictures were shared and I gave my advice on how many sessions etc. She was really excited given that she had wanted to do this for a while. We settled for a 3hours session on a bright and beautiful Saturday morning. We tackled the items on the sofa and the shelf in the living room first because I usually recommend to “warm up” first. Within 30 minutes we managed to clear the items off the sofa and segregate it. The next 30 minutes were spent packing and organising the shelf items. I only had one picture taken. This was a picture of the shelf with textbooks and stationery organized. The 2nd hour was spent packing the shoe cabinet and the storage area behind the living room. My role in this process is also very much to remind clients things which do not have a space for, got to go. books. It’s simple and easy to manage if you are having trouble maintaining your home. The final 3rd hour was an impromptu decision to attempt packing some stuff in the bedroom. There were a lot of stuff toys which were layered with dust and taking a lot of space. After some tussle, it was finally concluded these had to go. I’m very proud of her and confident that she has started to appreciate the process of decluttering. At the end of these 3 hours, I usually ask if the client is happy with what was achieved and not only was she happy, she was also eagerly anticipating the 2nd session where we will organize her bedroom. Swing me a line, call me if you are also keen to start decluttering your home.